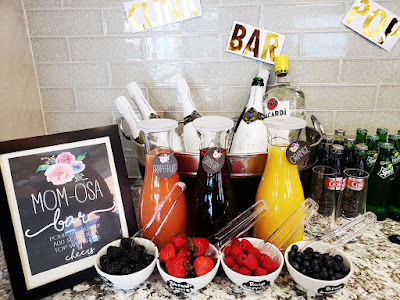 Home baby shower momosa bar Pregnancy Series - Baby Shower Momosa Bar Idea! I can't believe it but my baby shower is coming up this weekend! I know that so many of my peers have buns in the ovens right now so I wanted to share a really fun idea that I used for my friend's baby shower that I helped plan a few weeks ago. Check it out! I picked up 3 glass carafes to fill with Juices at Target for $6.99 a pop. 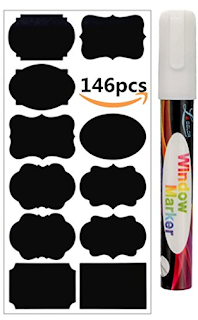 The reusable chalkboard stickers and pen is from Amazon. I put my juice and champagne in a metal bucket over ice. Don't forget to include a sparkling cider option for the momma to be. I also included some fruit toppings. The most popular by far was raspberries. 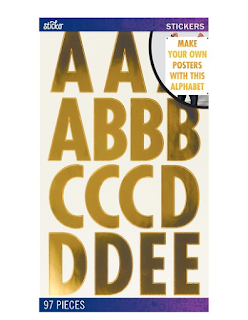 The little drink signs are gold letter stickers that I used to spell out fun bar words. I got them from target. 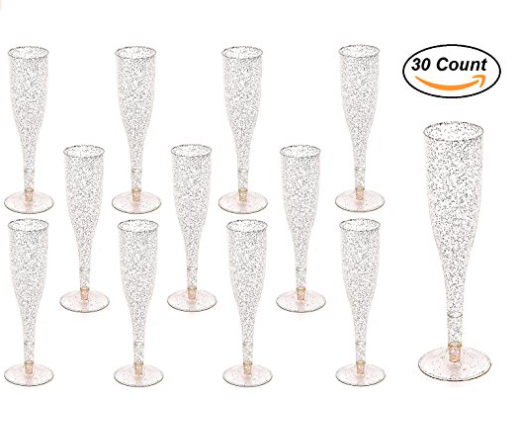 I also picked up special glass toasting glasses for Mom and Dad from Amazon. The rest of the guests got plastic disposable champagne cups from Amazon. 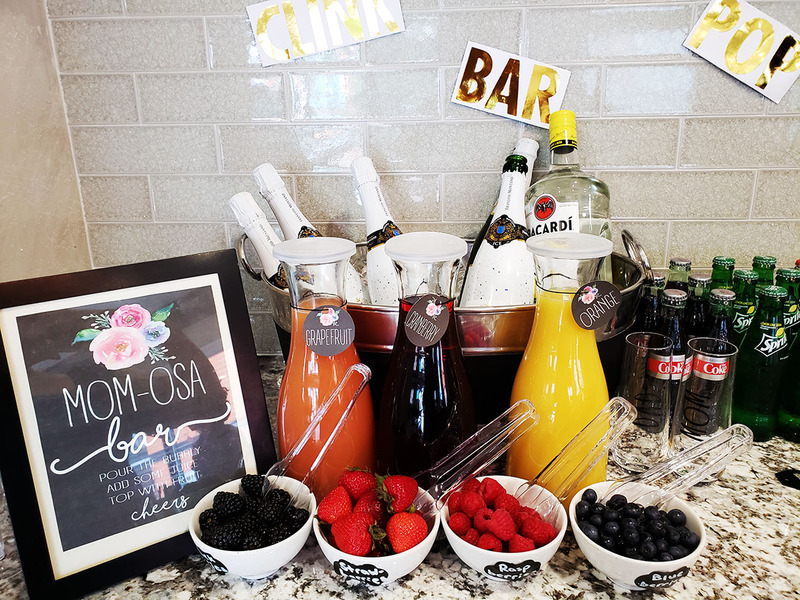 Hope you all enjoyed this fun baby shower idea! I can't wait to post pictures from my shower coming this weekend!